With the start of the New Year, Lee Aerospace announces expansion of its Part 145 capabilities and its national presence across the United States, including Provo. As of late December, the Lee Aerospace Part 145 Repair Station, #YLR863L, has added repair capabilities to include composite repairs on specific models for the main entry door assembly of the HondaJet. 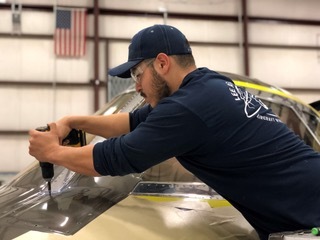 In addition to the existing certificate rating, which originally focused primarily on transparencies, Lee Aerospace is now expanding into other structural elements of the airframe. “We are well-known in the industry for our inspection, repair and installation of transparencies. However, we have manufactured composite assemblies and major aerostructures at Lee Aerospace for years. Adding this composite capability to our 145 certificate allows us the opportunity to perform repairs on structural assemblies that we know very well on the manufacturing side,” said Greg Piland, VP of Aftermarket Sales and Services. “This expansion is a natural progression for the company.” Read more…..